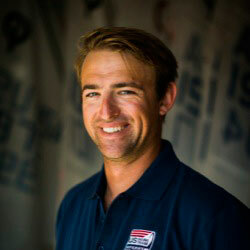 Caleb has been sailing his entire life and started racing at the age of 7. After finishing high school, Caleb decided to put college on hold so he could pursue his lifelong dream of winning an Olympic gold medal. He bought himself a Finn and began competing full time in 2009. 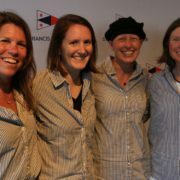 In 2011, he joined the US Sailing Team Sperry Top-Sider and has since been climbing the world ranking in preparation toward his goal. The most challenging aspect of Caleb’s quest for the gold has been financial resources. It took him 5 years to get a new mast and boat made to his specifications. 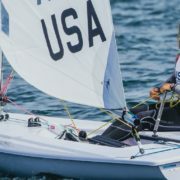 Over the last few years, with Bill Kreysler’s help and financial assistance from the Foundation, Caleb has had more resources to refine his equipment and spend more time sailing in Rio and other parts of the world, which successfully culminated in a bronze medal in the 2016 Olympics.